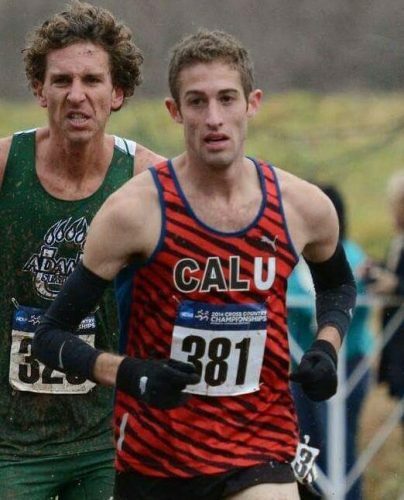 Aaron, a 2015 graduate of California University of Pennsylvania (Cal U), joined NE Distance in the winter of 2017. Under the guidance of Cal U coaches Daniel and Jacqueline Caulfield, Aaron was a 7-time All-American and was named Pennsylvania State Athletic Conference (PSAC) Track Athlete-of-the-Year in 2014. Aaron currently holds school records in the 5K, 10K, and Distance Medley Relay and his 10K PR of 28:40 is the record across all PSAC schools. Not one to slack off in the classroom, Aaron majored in Archaeology and Forensic Anthropology and was named Academic All-American 3 times during his college career. After graduation, Aaron moved to Alamosa, Colorado to train at altitude with a professional training group. In his year there, he achieved a runner-up finish as the 2016 USATF Cross Country National Championships, which qualified him to run for the US at North America, Central America and Caribbean Athletic Association (NACAC) Cross Country Championships in Caraballeda, Venezuela. Aaron looks forward to furthering himself as a competitive athlete, team member, and individual while at NE Distance. He is excited to share his knowledge and experience with a younger generation to embolden their love for running.